I am now an Advanced Level Linux Professional after completing both LPIC Level 2 exams. 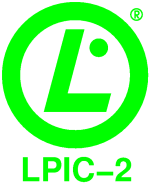 Today I took and passed the LPI Level 2 Exam 202. At first I thought that there wouldn't be too much to revise for this exam. After all I use or have used quite a number of the features tested in the exam. For instance I've configured a web server which uses name based virtual hosts and mod_rewrite, I've configured and managed DNS servers hosting thousands of domains, I've configured sendmail and postfix mail servers, I use network troubleshooting tools on a daily basis, and I used to work in a network security department. I soon realised that there were some significant gaps in my knowledge. For example with the mail server configurations I've barely touched on the configuration scripts, and I've not done anything with large mailing lists, or NIS. Even with the topics I did know about I realised that I hadn't gone as deep into the configuration files as the LPI exams tested. I rushed through my revision somewhat as I wanted to get it completed before some changes in my role at work. The exam had a maximum score of 890, with a minimum pass mark of 500. There is special weighting in the exam, so it's hard to consider as a percentage. I scored 500, the minimum required to pass the exam. I can assure you it was a big sigh of relief when I saw the PASS appear on the computer screen. I had launched my new version of the online lpi practice exams for LPI 202 yesterday, so the quiz was launched before I took the exam. New Linux Professional Institue (LPI 202) Practice Exam. I can therefore guarantee that the questions are in no way a brain dump, or even influenced by the actual exam questions. However two of the questions that I have included in the quiz are very similar to questions in the real exam. This is purely down to me thinking about the question in a similar way to the way that the writers of the exam did. There are some areas that I now feel are a bit under represented, and I'll add some more questions, but to prevent this being interpreted as a brain dump I will be waiting for a reasonable period of time before I design the questions so as not to be directly influenced by the exam. Although to be honest some of the questions seam a distant memory already and it's only a matter of hours since I took the exam. Of course trying to revise the answer to my questions is not what the practice quiz is about. It's about highlighting the areas where you should be looking at revising, and shouldn't in anyway be considered as being directly comparable with the actual exam. It does not look like I will be attempting the Level 3 exams anywhere in the near future. My full time job is going to be moving away from the hands-on technical role I have been doing, and so gaining technical certification is not going to be something I'll be wanting for work. Even if I was still in a technical role then it's unlikely I'd be involved in much Samba or LDAP through work, which are the main areas of the exam. I do still intend developing the PenguinTutor web site as a resource for those studying for the Linux Professional Institute Level 1 and Level 2 exams. Although with a number of major changes in my life (changing job, moving house etc.) it may be a little less active than it has been over the past few months.